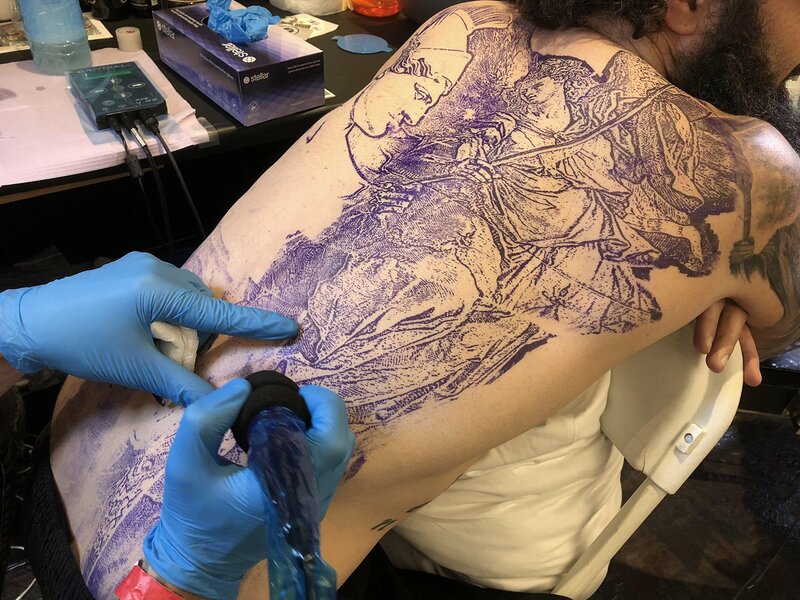 It’s only been a year since the first annual Van Isle Tattoo Expo, but it feels like a lot has changed behind the scenes. The haphazard intimacy that marked the inaugural convention in downtown Victoria has been refined. From the room layout to the volunteers to the way artists from different places interacted with each other, everything felt distinctly mellow. It occupied a content middle-ground between its relatively small size and its ambition to grow and draw in bigger names. And it certainly did draw them in. 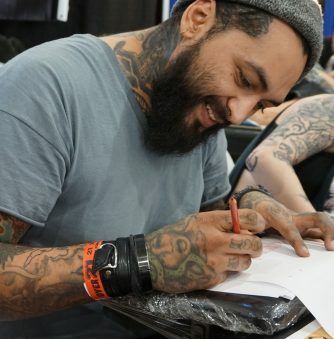 Returning artists like Babiery Hernandez, David Gluck, and Joseph Haefs were joined by even more industry superstars like Megan Massacre and Steve Butcher. 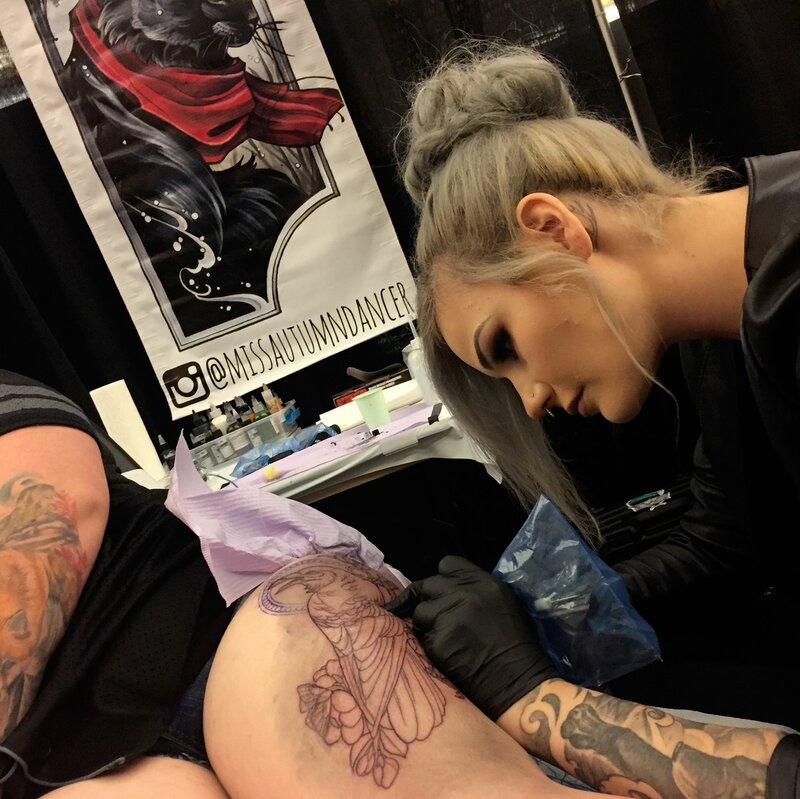 Just like last year the Expo was also an excellent opportunity for less known artists who live along the West Coast and around Canada to break into a larger audience. 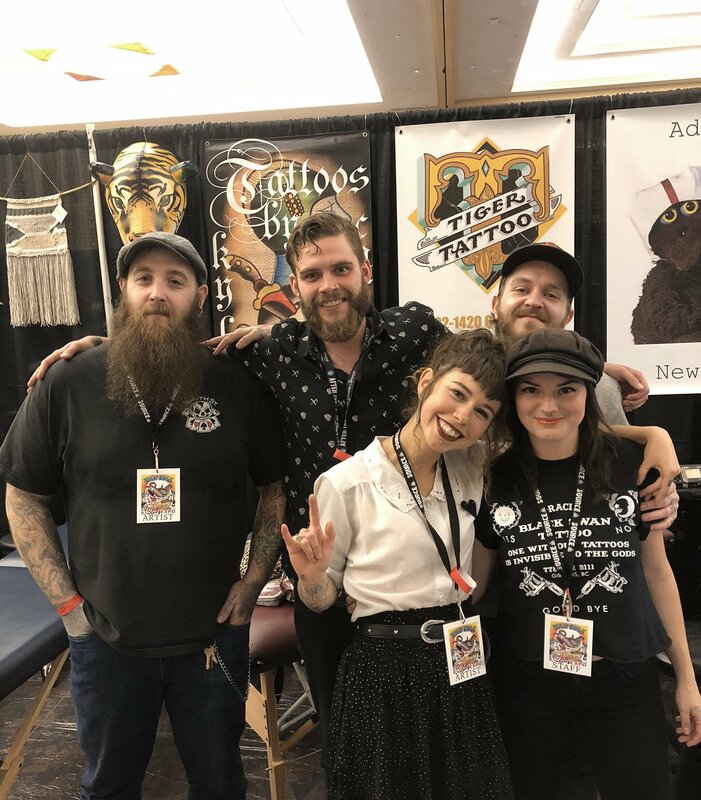 Vancouver’s Michi, Calgary’s Ryan Tews, Gibsons’ Michelle Warawa, and Dawson Creek’s Sidney Gulka produced some fabulous work over the three day convention. 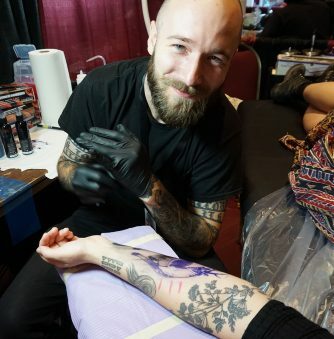 With two successful Expo’s under there belt, it’s exciting to see how things will grow and change next year as the organizers continue to develop its identity. 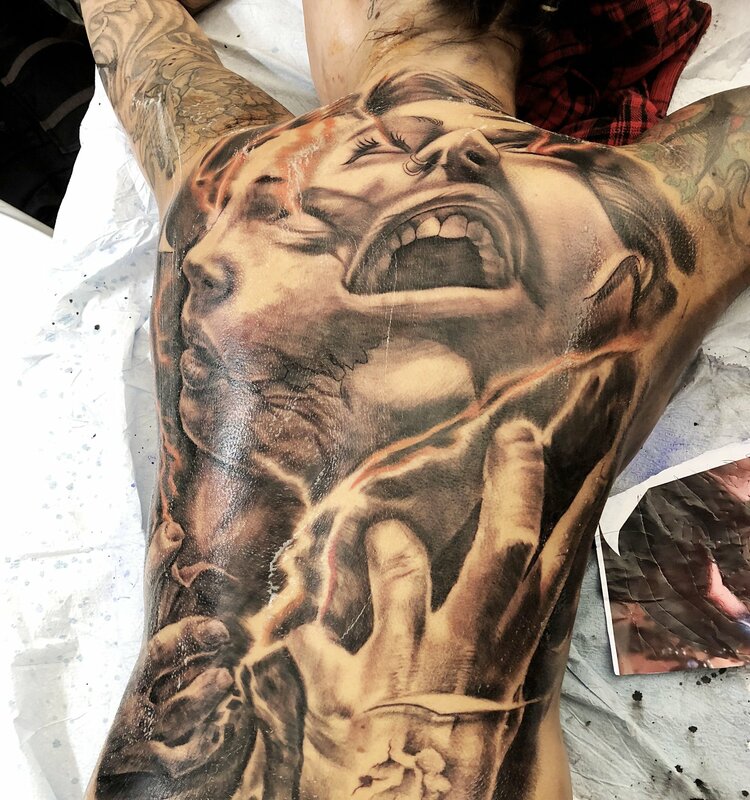 Above: Draworking, Mxndoza, Psicotattoojordy worked together to create this massive back piece. 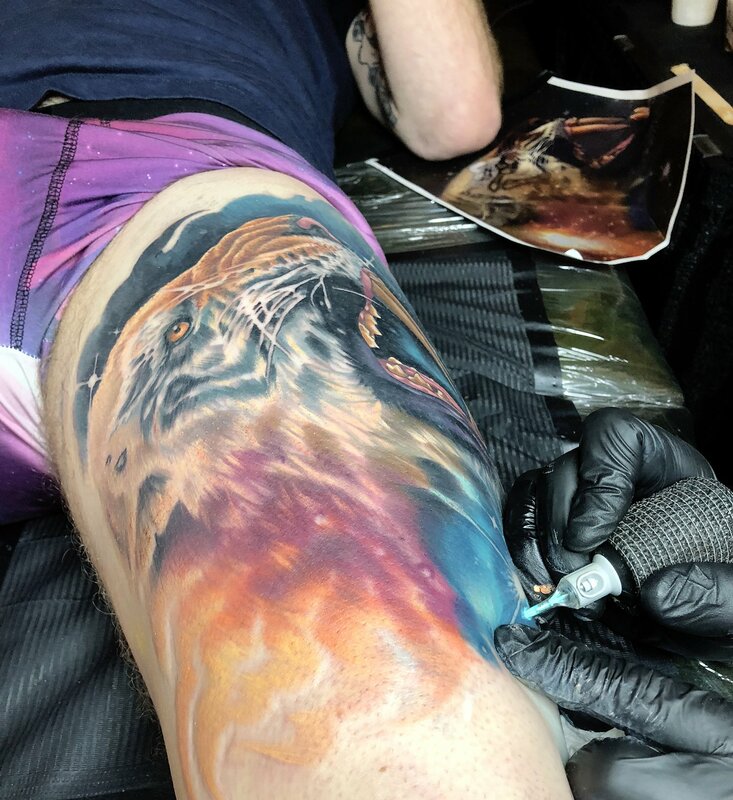 A thigh piece showing Liam Monahan vivid use of colour. 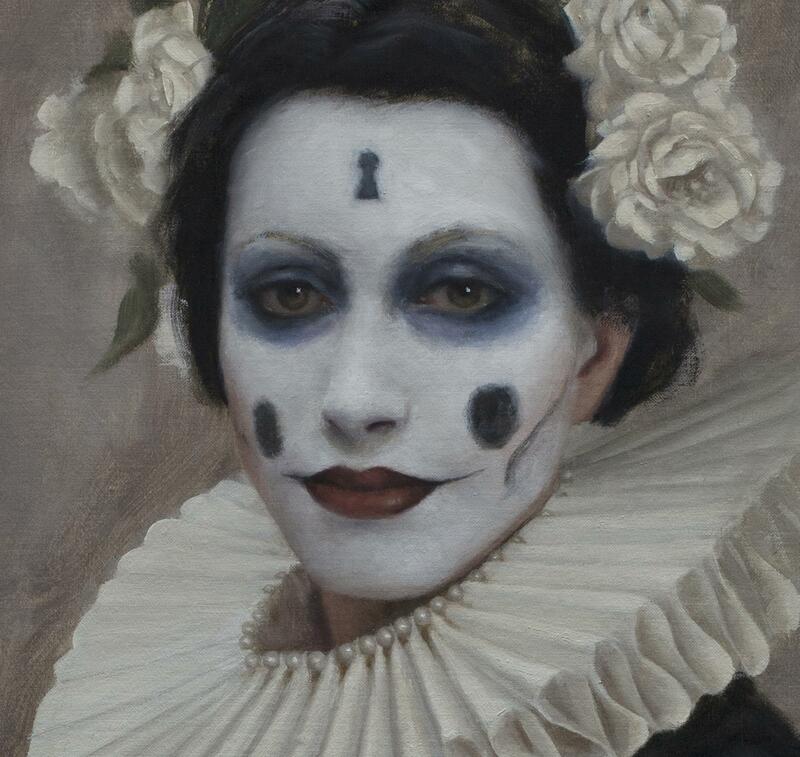 A WIP from Abbotsford, BC’s Marc Roy. 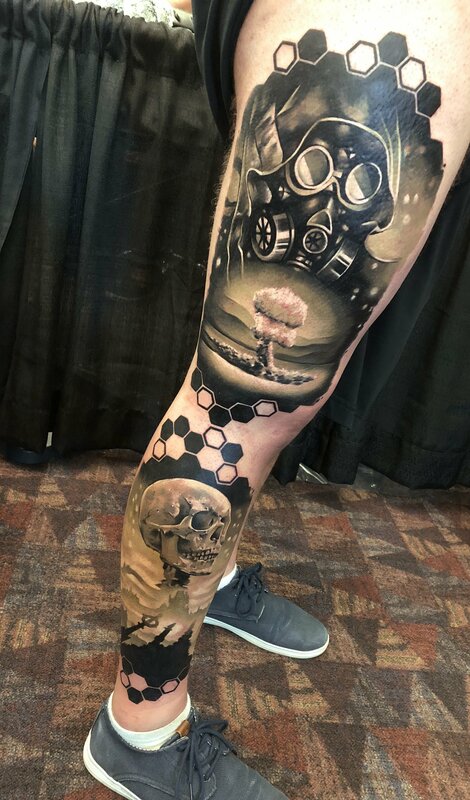 Thigh piece from Joseph Haefs of Reverent Tattoos out of Las Vegas, Nevada. 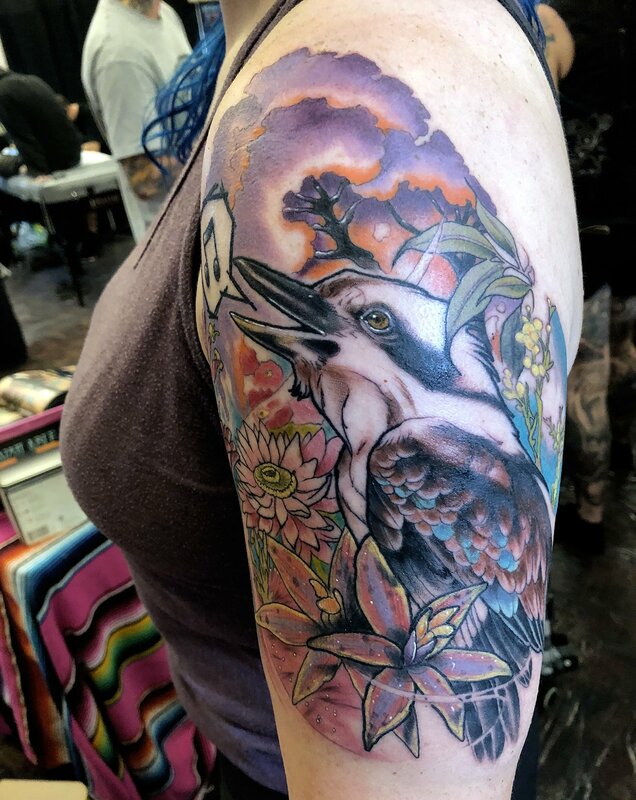 A kookaburra from Empress Tattoo’s Paige Faihe from Victoria, BC. 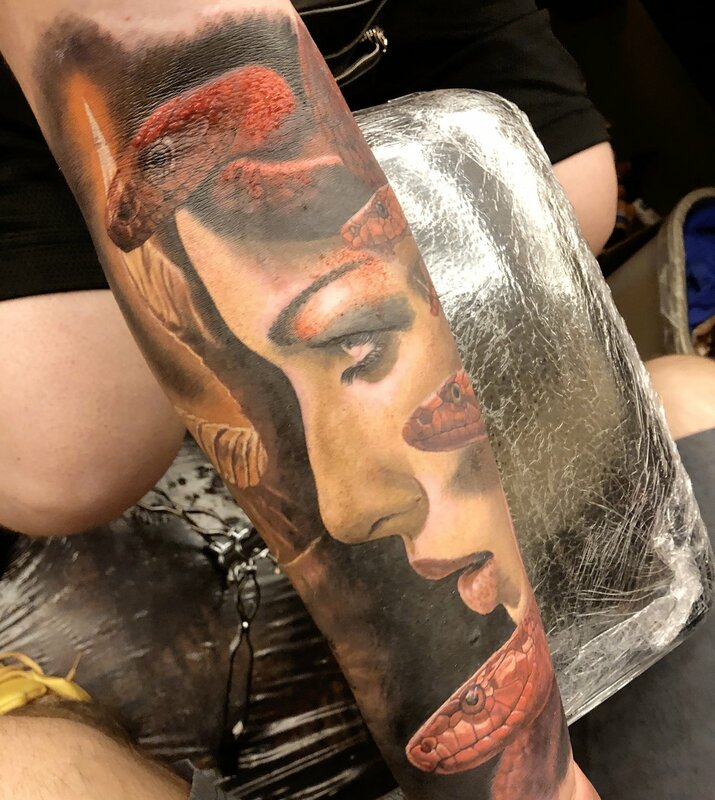 A two day thigh piece from Boss Tattoo’s Ink by Saga from Calgary, Alberta. 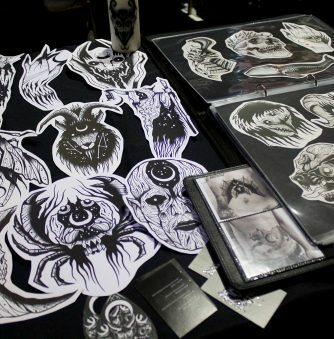 Top left to bottom right: Kyle Carter, Matt, Adam Newton, Cat Siren, and Amber McIsaac from Victoria, BC. 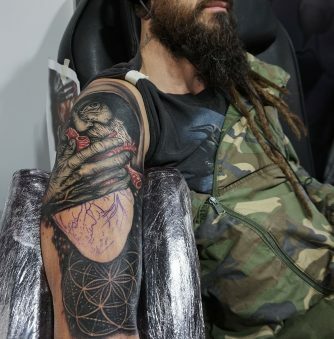 A work in progress from New Zealand’s Steve Butcher. Tony Carter (Scene360) and Megan Massacre.